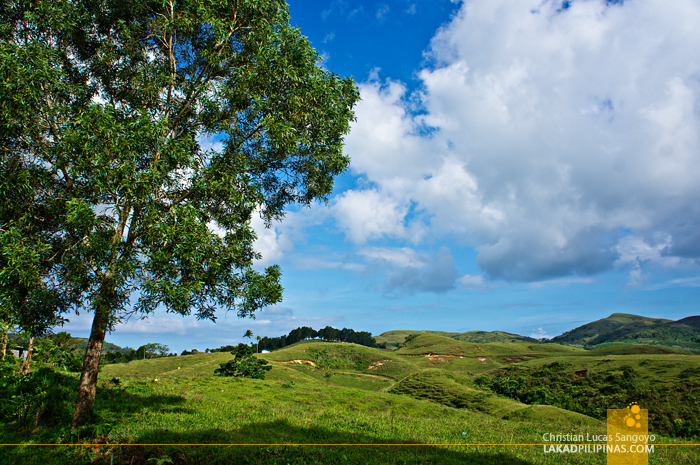 My eyes opened and the hills passed; bright green, rolling and undulating with the wind. 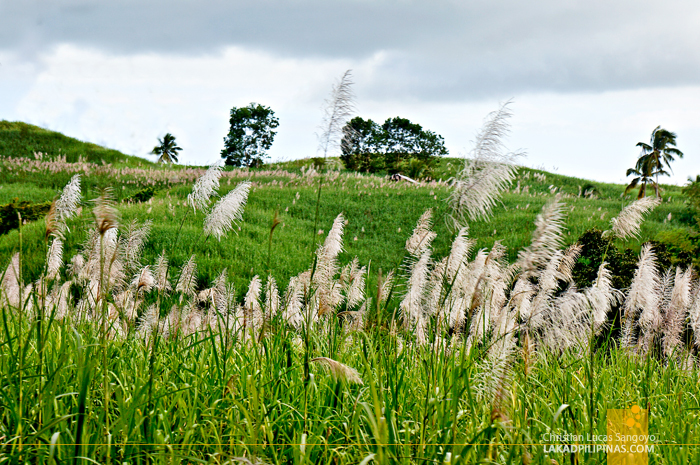 The sugarcane fields of Negros Occidental swept through our van window. I lifted off the latch and opened the window nearest me just a little bit, letting in a small stream of air to pass inside our warm vehicle. Nobody else seemed to mind, most of my companions were still stranded in Neverland, probably dreaming of lost boys and pirates, oblivious to the scenery outside as we sped off to San Carlos City. A few hours ago, everyone seemed so pumped up after conquering six out of the seven waterfalls in Mambukal National Park in Murcia. Now everyone’s battery seemed to have already run out; depleted, drained. The chance to recharge presented itself as we made our way to the next itinerary on our list; San Carlos City’s Pintaflores Festival. We passed mountains on the way to the festival. 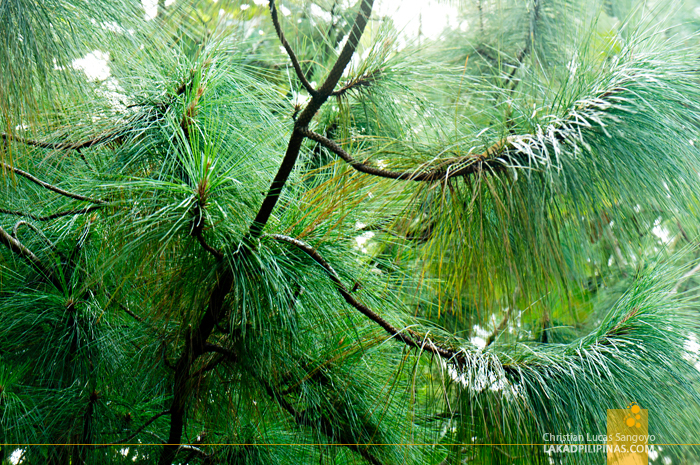 The temperature dropped and pine trees appeared, towering like sentinels along the deserted highway. My mind wandered to my favorite haunt, Baguio City. Chilly afternoons. Mists. Knitted sweaters, Hot coffee. More pines swept past. Then it seemed we warped to Ifugao. 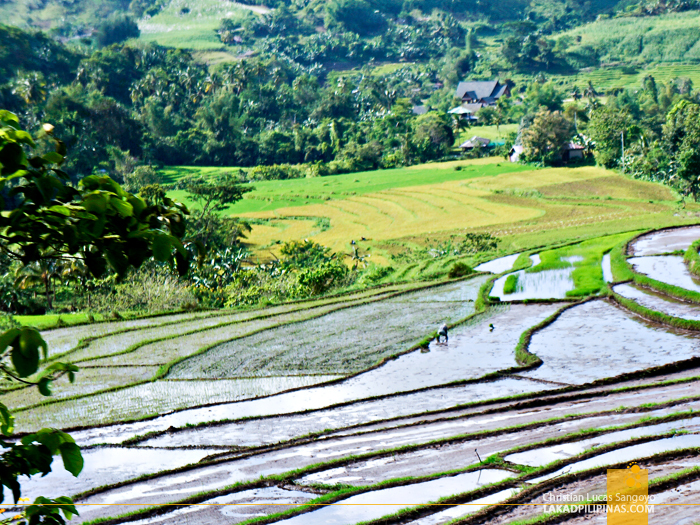 Patches of rice fields carved on sloping hills descended from the road. It was planting season and most of the paddies were still waterlogged, ready for the seedlings that are painstakingly hand planted by the farmers toiling on their angled farmlands. From afar, a soaring waterfall rose from a mountain of trees. 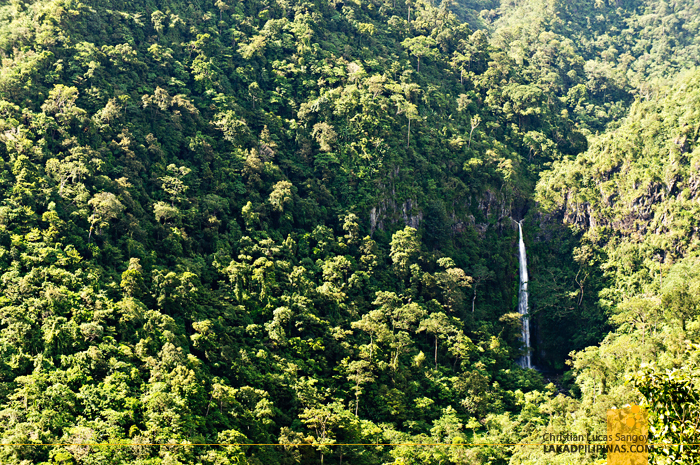 It’s Don Salvador Benedicto’s Malatan-Og waterfalls. It will take an hour or two for an intrepid traveler to hike the falls from the highway. But intrepid travelers, we are not. We contented ourselves to viewing the majestic gush of rushing waters from the highway’s outlook before moving on. I tried to erase the beauty of that single vertical stream from my mind; I watched the swoosh of rushing trees instead and let myself be hypnotized by the bendings of highway electrical wires from above. Patiently, I rested my head on the window and waited for the colors of San Carlos City. I love love love the first picture. No filter needed to make it dramatic. wow hanep yung pic nung waterfall from afar!